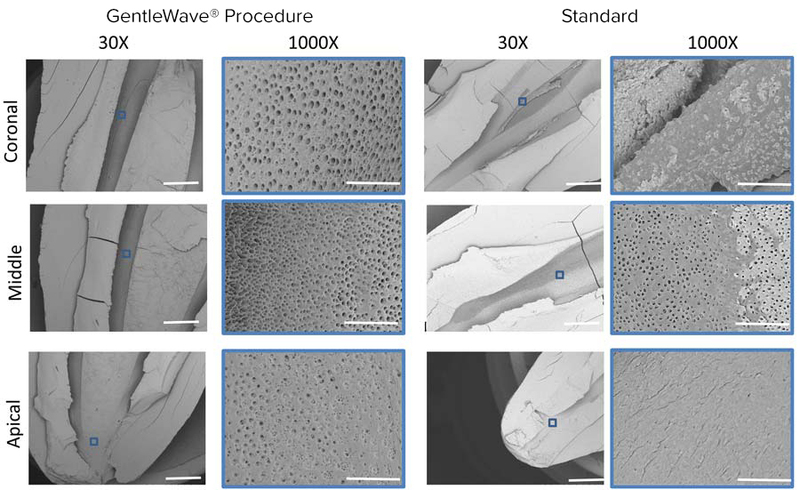 The smear layer removal capability of the GentleWave® System was evaluated and compared to the standard endodontic treatment in in-vitro human molars with complex anatomies. Eight molars with complex anatomy were selected and treated using the GentleWave System or with standard active ultrasonic irrigation. The specimens were scored to measure the resultant smear layer and tissue debris. Statistical analysis was performed. The GentleWave® System is a viable solution in endodontic treatments.